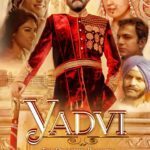 Set in India and New York, “Yadvi: The Dignified Princess” screened at the Manhattan Film Festival April 23, is a true story of an Indian princess, a survivor with strength and courage, qualities to inspire every young girl. And that’s what it did for Jyoti Singh and her sister Gauri, granddaughters of Maharani Bimal Kaur, the daughter of Maharaja Bhupinder Singh of Patiala, who went on to become Madhya Pradesh’s Rajmata Yadhuvansh Kumari (1922-2006). “It’s a very positive story about my grandmother – of a woman’s journey, a survivor,” Singh told Desi Talk. “Ultimately it shows how she even did kheti to earn her living, with dignity, never going back to her father’s house, living her life with humility and grace as she went from extreme riches to poverty,” Singh said. Yadhuvansh Kumari’s father was the first King to own an aircraft in India, and some 20 Rolls-Royces, built several prominent buildings, had a necklace custom-made by Cartier jewelers which now sits in a museum; the same man who donated the famous Ranji Trophy and was a cricketer himself. The script for the docudrama is written by Gauri Singh. Jyoti Singh, an actor based in New York, plays her grandmother’s role apart from producing and directing the film. Well known actor Chandrachur Singh plays Maharaja Bhupinder Singh. 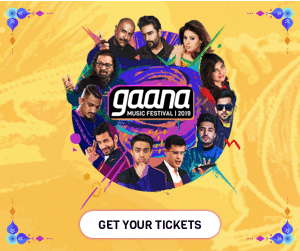 Other actors include Dina Rosenmeier, Siraj Huda, Vibhu Raghave, Aishwarya Raghave, Nikkitasha Marawaha, Rahul Godara, Resha Sabarwal, Bernadine Linus, Marianne Borgo, Gauri Singh, Kuvam Handa, and Yadvi Handa. It took the three sisters Ketki, Gauri, and Jyoti more than two years to develop the story, talking to relatives and getting the family history together, visiting the palaces where their grandmother lived. “We saw the strength in her. I lived with her for 14 years,” Jyoti Singh said. Shooting segments in India was an experience in itself, she said. “I was ripped off in India — But that’s a whole other story,” she says. Jyoti Singh has several achievements in her film career. In 2014, she won Best Actress-short film, for “Samosa”? at “The People’s Film Festival.” She received her training under Professor Roshan Taneja and Tom Alter from Access to Bollywood and did courses at New York Film Academy and several studios in New York City, she told Desi Talk. She was nominated for her role in “9 Eleven”? at World Music and Independent Film Festival. Recently she won “Best Director” award for her own FIlm, “Yadvi-The Dignified Princess” at the 4th Indian Cine Awards. “Yadvi” will be screened next at The People’s Film Festival in Harlem on June 4, the DC South Asian International Film Festival in Rockville, MD June 11, and Bharatiya Vidya Bhavan on June 17, in New York City.